Краткое описание: In 2028, General Donald Morden launches an all-out, global attack against the Regular Army. With superior numbers and equipment, the Rebellion overwhelms the unsuspecting Regular Army troops easily. The attacks could have been countered effectively, or even prevented, should the high-ranking officials have listened to the Regular Army's intelligence community, which had been warning about all sorts of indications that the Rebellion could attack at any moment in decisive force. Unfortunately, the same officials decide to save their own skins and announce that it was the intelligence failure that led to such catastrophe, which the personnel serving in the intelligence community did not appreciate whatsoever. Meanwhile, Regular Army is pushed to near annihilation, with cities that it was suppose to be protecting in ruins. General Morden makes an announcement that all of the major cities around the world will be under his control within 170 hours, also adding that any resistance would be futile. The announcement certainly did not discourage a band of Regular Army soldiers attempt to salvage whatever they had left. 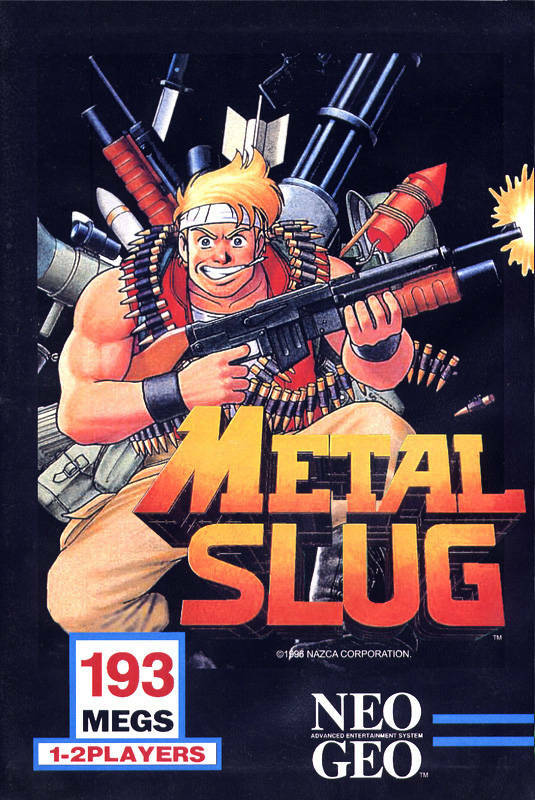 Shortly after, a group named "Resistants" are formed by surviving members of the Regular Army and its researchers, who began to covertly convert the Metal Slug tank prototypes into combat-ready status in a hidden factory, hoping to launch a counter-offensive to regain what they had lost to the Rebellion. Morden just as quickly learns of this fact and attacks the plant, crushing the Resistants and capturing the tanks, putting an end to the counterattack even before it could begin. The vehicles are then scattered to prevent any ragtag Regular Army troops reclaiming them and using them to launch attacks. Seeing the Regular Army panic and crumble, 1st Lieutenant Marco Rossi of the Regular Army Peregrine Falcons special forces unit quickly unites remaining Regular Army units and begins a commando operation to reclaim the tanks. Fighting alongside him is Second Lieutenant Tarma Roving from the same unit. Their main objectives were to engage the Rebellion and neutralize its leader, General Morden, while reclaiming the Metal Slug tanks to aid them in battles. If the tanks could not be recaptured, then they would have to destroy them to prevent them from being used by the Rebellion. The player has to constantly shoot at a continual stream of enemies in order to reach the end of a level. At the end of each level, the player might confront a boss who is often considerably larger than regular enemies and takes many shots to defeat. 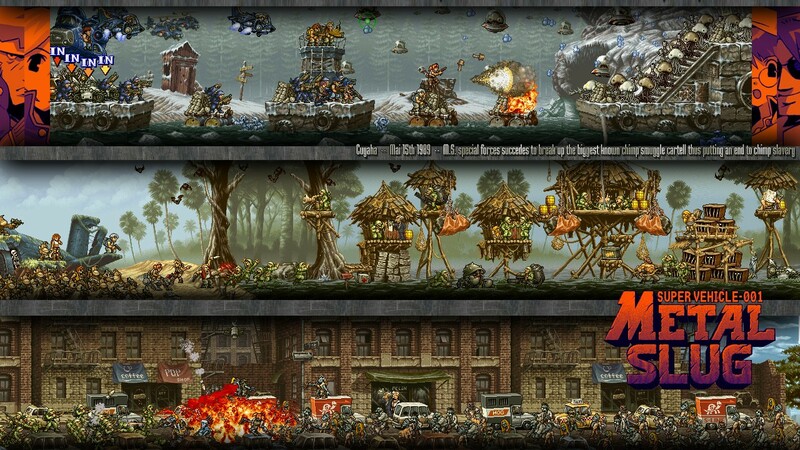 On the way through the level, the player finds weapons upgrades and "Metal Slug" tanks that can be used not only as weapons but also as added defense. The protagonists can perform melee attacks by using a knife and/or kicking. The player does not die for simply coming into contact with most enemies. Correspondingly, many of the enemy troops have melee attacks. Much of the game's scenery is destructible. Sometimes this reveals extra items or powerups, most of the time it simply results in collateral damage. During the course of a level, the player encounters prisoners of war. If they are freed, the player can receive bonuses in the form of random items or weapons. The player receives a score bonus for freeing POWs at the end of the level; at this point the game shows the name and rank for each of the prisoners freed. If the player dies before the end of the level, the tally of freed POWs is restarted. There are a total of six levels, with themes ranging from forests, garrisoned cities, snowy mountain valleys, canyons, and military bases. In 2028, General Donald Morden launches an all-out, global attack against the Regular Army. With superior numbers and equipment, the Rebellion overwhelms the unsuspecting Regular Army troops easily. There are a total of six levels, with themes ranging from forests, garrisoned cities, snowy mountain valleys, canyons, and military bases.